With each changing season comes changing, and sometimes unpredictable, weather conditions. The building and contracting industries can both tend to feel the effects of the long cold winter season -- if there are any major fluctuations in temperature from extreme cold to above the freezing mark, any concrete pouring or foundation work must come to a halt if the project is to be completed properly, putting a serious delay on obtaining revenue. Help your clients that have booked projects for the spring/summer season to select long-lead items such as custom windows, siding, or shingles - that way the project is set to begin without delay once the snow melts. Shift your focus to interior work. 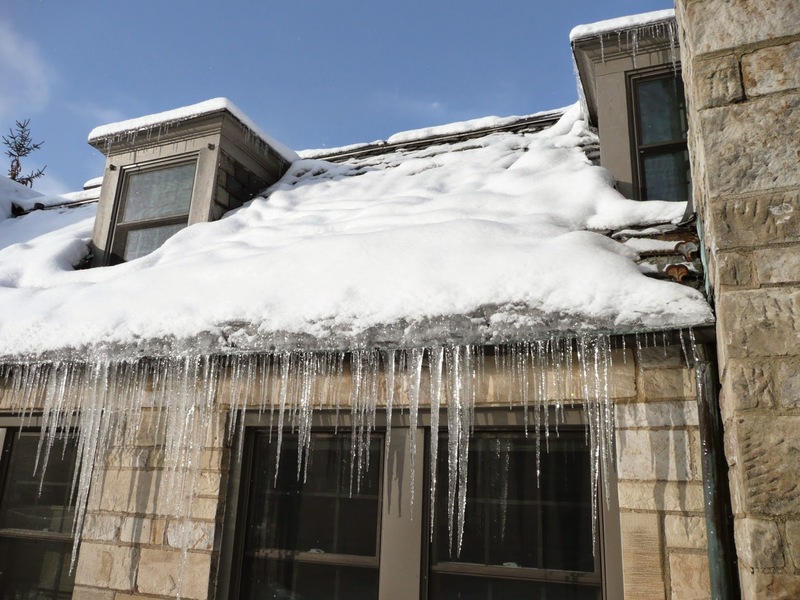 Old Man Winter will inevitably bring ice damming and roof leaks, so indoor roofing, insulation, ventilation, and attic repairs will spike in demand. Keep your outdoor work climate specific, it can not only be damaging for your businesses reputation but also for the health of your employees if outdoor work is completed in harsh below-freezing conditions. Offer cleanup and snow removal for flat roof, residential, industrial, and commercial clients. Not only will the service be called for and appreciated, but it can secure the integrity of your product. Educate yourself and your employees on the latest building and design trends to maintain a competitive edge during the summer season. Offer value pricing on maintenance inspections for the Spring season. 3) Damage Control. With winter comes heavy wet precipitation and varying temperatures which can lead to ice damming and even structural damage. This misfortune tends to be more popular on older flat roof homes, however, with the right amount of snowfall - any roof can be susceptible to damage. This is a headache for homeowners, but a rejoice for the roofing and building industry as these small and even large repairs can get us through the slow season. Homeowners should note that venturing on to the roof of your home after extreme weather conditions to inspect damage is not recommended, you are always better off calling a pro for your safety and the integrity of your home. Trudel and Sons Roofing offers comprehensive roof inspections and is always here during any season for your roofing and repair needs!